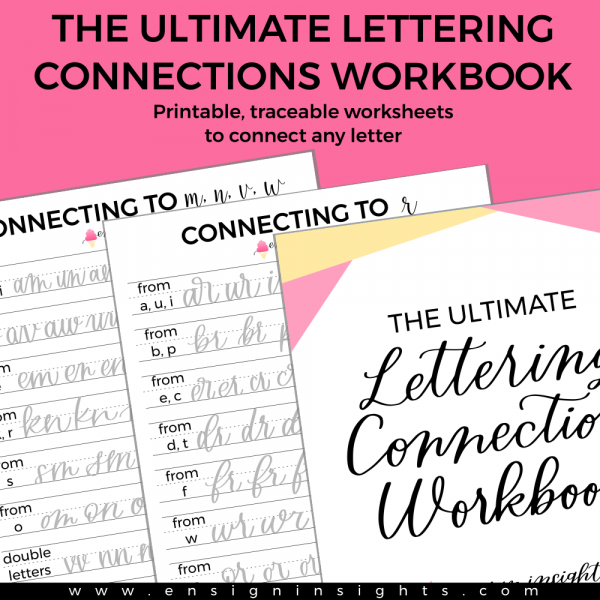 To help you with those tricky lettering connections. 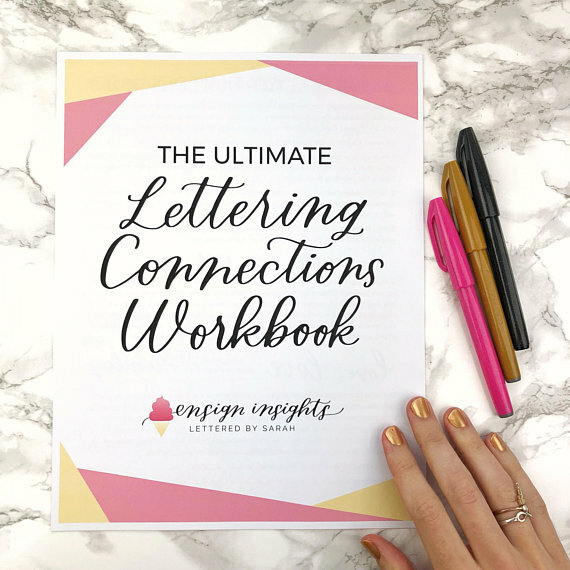 If you live in an EU country, for tax purposes, please purchase this workbook here. Thank you! 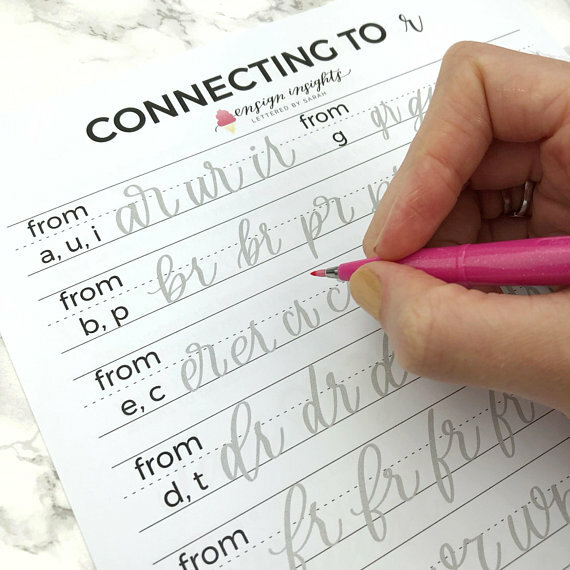 Learn lettering as we talk about the secrets of lettering connections in these brand new brush lettering worksheets. 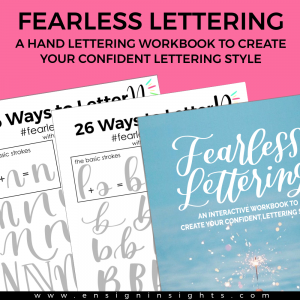 You will receive a hand lettering workbook with practice sheets of several different ways to connect each letter. 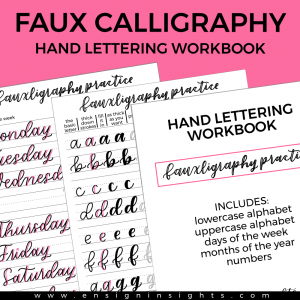 These practice sheets will help you build muscle memory for modern calligraphy and brush lettering. 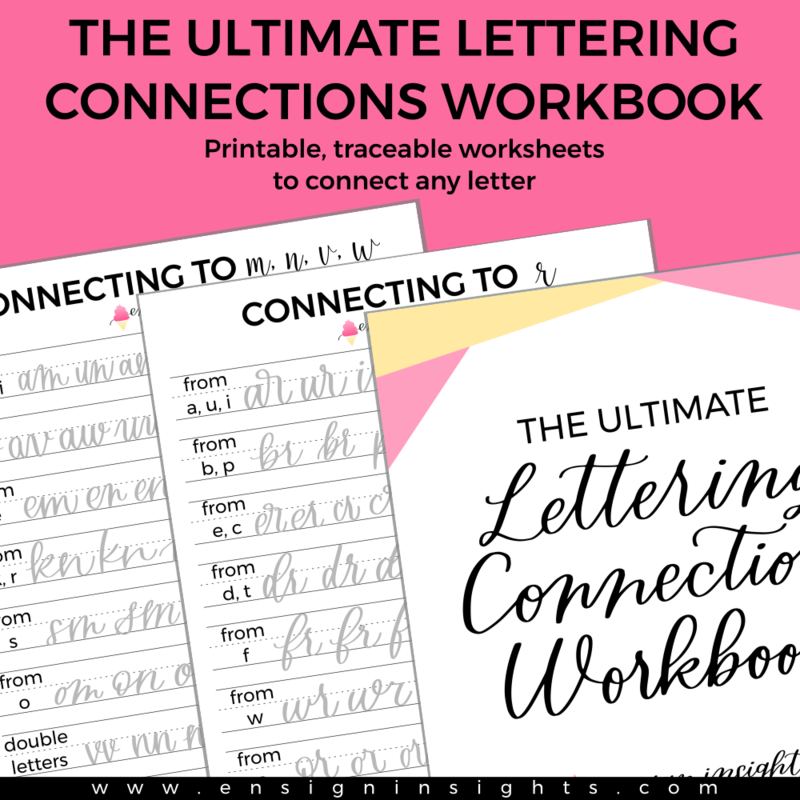 It also includes a couple pages of information with my top tips to connect letters so that you’ll be able to come up with even more connections than just the practice sheets I give you. 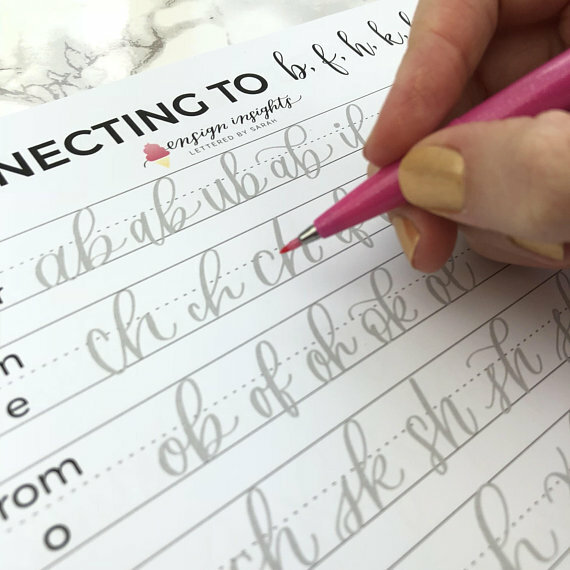 These traceable practice sheets work best with small brush pens like Tombow Fudes or Pentel Touch brush pens. :: You will receive 1 PDF file. ::These are printable practice sheets, no physical item will be mailed. *Print these sheets as many times as you would like! * Download upon purchase because the file will expire in 30 days. If you’re file expired, shoot me an email. ::Take a screen shot of the page you want to practice on your ipad. Then import the photo into procreate. :: These sheets are copyrighted to Ensign Insights.